Mr Frank Seeley AM, Aimee Turpin, and Variety SA CEO Mr Mark McGill. It is hard to imagine how a $10 bottle of Braemar scotch can help enrich the lives of young Australians, but a partnership announced with Variety - the Children’s Charity, will see proceeds from this year’s Seeley International charity auction do exactly that. Seeley International founder and Executive Chairman, Mr Frank Seeley AM, said the organisation was pleased to offer its support to Variety on behalf of its national dealer network and contribute proceeds from the organisation’s most popular charity fundraiser event. Seeley International has also been announced as a national gold sponsor of the 2015, 2016 and 2017 Variety Bash events across the country, and will contribute more than a quarter of a million dollars over the 3-year agreement to help improve the lives of Australian children. “The bottle of Braemar scotch was originally given to me as a joke nearly 14 years ago because it has the same name as one of our highly-successful brands, so I decided to donate it back as a charity auction item at our annual dealer conference,” Mr Seeley said. “Since then it has remained unopened and has helped to raise $1.2 million dollars for a range of charities, and this year we are proud to be able to donate much of the proceeds to Variety,” he said. After some very spirited bidding amongst the Seeley International dealer network, the group raised $90,000 for Variety Australia wide, with this year’s winning bidder being Coldflow Heating & Cooling. Variety SA CEO, Mark McGill welcomed the donation and thanked the Seeley International dealer network for its generosity, saying that it was wonderful to have the support of such a successful South Australian company. 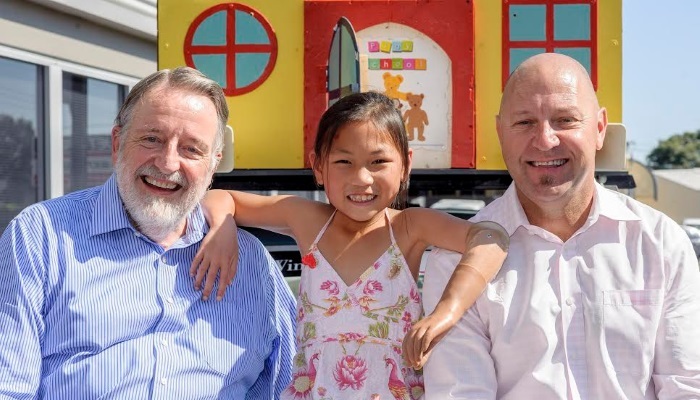 “Variety SA remains dedicated to inspiring hope and enriching the lives of South Australians, and we rely on the goodwill and support of organisations like Seeley International to help to fund our programs and deliver on the physical, emotional and financial needs of individual children,” Mr McGill said. “This substantial donation has the potential to be life-changing to those we help, and will be used for a range of support options for children around Australia who are sick, disadvantaged or have a special needs, to enjoy life and experience things that most of us take for granted,” he said. As well as Variety and Samaritan’s Purse, previous beneficiaries of Seeley International’s charity auctions have included the Leukaemia Foundation, Klong Toey Community Centre in Bangkok, the TLC Orphanage in South Africa, Compassion Indonesia, Hmong refugee children in Vietnam and Silky Oaks Children’s Haven in Queensland. Seeley International is Australia’s largest air conditioning manufacturer and is market leader in the design and manufacture of ducted and portable heating and cooling products for the domestic, commercial and industrial markets in Australia. Renowned for its innovation, Seeley International’s brands include Breezair, Braemar, Coolair, Convair and Climate Wizard. Based in Adelaide’s south - and with factories in Adelaide (evaporative coolers) and Albury (gas heaters and commercial cooling) - the company was founded in 1972 by Frank Seeley AM, who remains Executive Chairman.